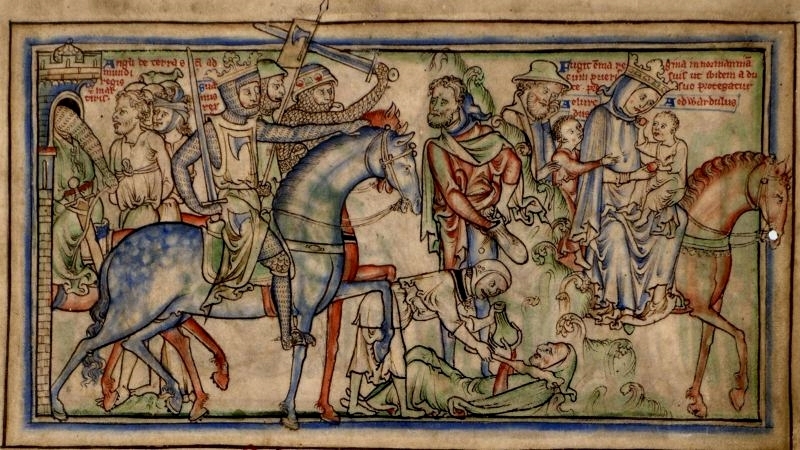 My current work in progress is the third book of a trilogy about the 11th century queen of England, Emma of Normandy. In fact, I knew from the start that this had to be more than one book. It seemed to me that I would not only have to tell Emma’s story, but I would also have to include the very complicated history of the world she lived in and immerse readers into it. Either I was going to write more than one novel, or it was going to be so long that no one would want to publish it—not that I had any inkling, when I began, that it would ever get published. How much of Emma’s life story was I going to tell? It is drama, conflict and change –those things that we hate in our own lives—that make the imaginary world of a novel so compelling. So in contemplating my novel, I needed to focus on the drama. 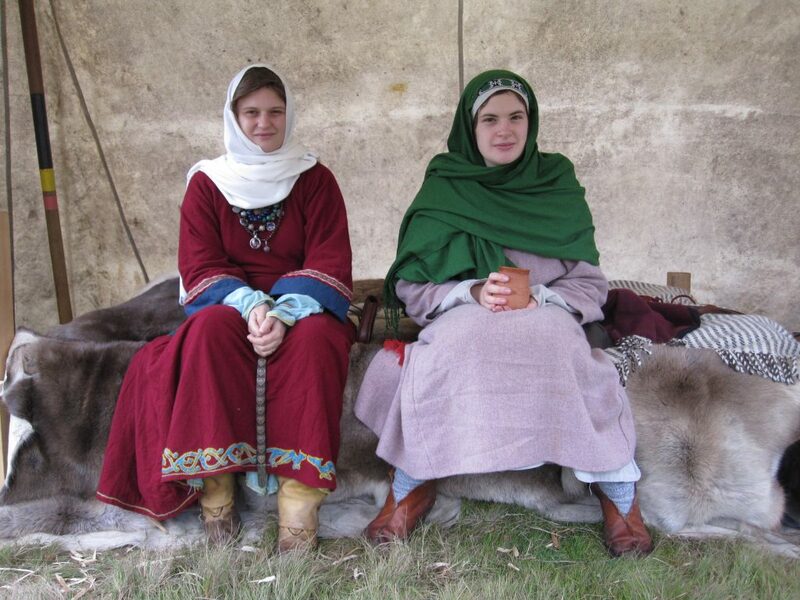 I had discovered that there were two distinct periods of Emma’s life that were fraught with conflict: the 16 years of her marriage to King Æthelred of England which began when she was probably about 16, and another period of nine years when she was in her 50’s. Both periods were marked by turmoil in Emma’s life and by massive unrest and political upheaval in England. Emma and her children fleeing from Sven Forkbeard’s conquest of England. Manuscript Miniatures Cambridge. It was that earlier period, when Emma first arrived in England, that intrigued me the most. I wanted to explore the difficulties that she must have faced as a young, foreign queen. I wanted to write a story that would reflect the turbulent history she witnessed, explore what she must have lived through, and imagine for myself the emotions she must have experienced. Most importantly, I wanted to present the unrest of that time, not from the viewpoint of a king or a warrior, but from the viewpoint of a woman. The men’s stories—those tales of heroes in mail with their swords and shields—have been told over and over; it is the women’s stories that have gone largely unrecorded. That was my challenge: tell the story that hasn’t been told. In the process I have created 68 characters, most of them historical figures, including their backgrounds and detailed descriptions. I have researched and imagined 11th century England, Normandy and Denmark, including 25 different towns. I have had to envision churches, great halls, royal chambers, ships, manors, abbeys, tents and army camps—and fittingly furnish each one of them. Sometimes historical re-enactors provide inspiration. 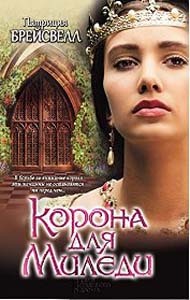 I have had to make up a great deal of Emma’s story due to the simple fact that there was no monk sitting on a stool in a corner of the great hall or the royal bedchamber taking notes about what the king, the queen and their retainers and attendants said to each other. Emma didn’t keep a journal. There are no letters extant from her or anyone who knew her, and even many of the annals that were kept at the time have been lost. Most of what we know was written after the people involved were already dead. It has been a difficult task to write Emma’s story—much more difficult than I first imagined. It has filled my life now for nine years, and I’m not finished yet. I do not regret a moment of it. Why do we read and watch and listen to stories? We have been doing these things since our ancestors first gathered around their fires in the dark or drew pictures on cave walls. Stories fascinate us. We fall into them, we fall in love with the characters we meet in them, we draw inspiration or insight from them, we experience emotions through words printed on a page. I set myself the task of creating that emotional rush—first for myself and then for anyone else who would read what I’d written. That meant I had to whittle sixteen years of 11th century history, and sixteen years of a woman’s life along with her hopes and fears and a myriad of decisions, into manageable chunks, I had to take readers into another time and place, introduce them to individuals with odd names they had never heard before, and occasionally fling words at them from an English language so different from our own that it is unreadable to anyone who has not made a study of it. That meant I had to write…a trilogy. Three books, yes; but one story about a once-powerful woman who had been forgotten but who deserved to be re-introduced to the world. This entry was posted in Essay and tagged Aethelred, Anglo-Saxons, Books, Emma of Normandy, historical, history, Shadow on the Crown, The Price of Blood, Trilogy. Bookmark the permalink. Any idea when the third book will be published? I too feel like I will need to reread at least book 2 but I don’t want to start too early. I have really enjoyed Emma’s story. Hi Laura. I am glad you’ve enjoyed Emma’s story. I’m afraid I cannot yet tell you when the third book will be produced. I’m still hard at work on it. I am trying, though, to make certain that there are enough references to the earlier 2 books that anyone who hasn’t read them or has forgotten characters or events, will be reminded. So, fingers crossed for that! Patricia…do you know if the 3rd will come out 2019? So that we know when to look for!! Hi Tanja. Thank you for asking! Unfortunately, I do not know if the 3rd book will be released in 2019. My fingers are crossed that it will, but that decision is up to the Publisher. Meantime, I’m still working on the ending, trying to tie up all the plot lines. Stay tuned! I’ll be blasting the news everywhere as soon as I have news to share! Hi Patricia! I just finished the second book and in my search for the third, discovered your website. I’m so glad a third book is on the way! 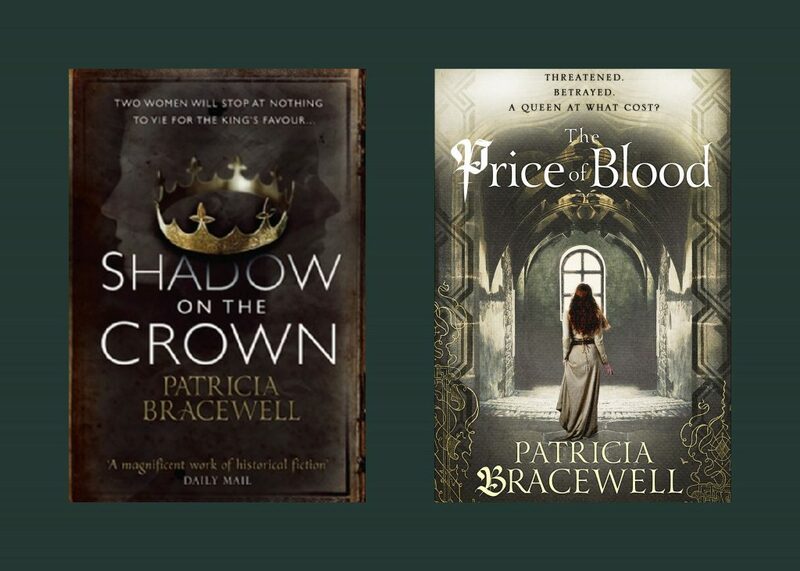 British historical fiction, particularly the Anglo Saxon period, is my current reading passion and I have devoured a great deal of it in the last couple of years. Your writing stands out as some of the best work I’ve had the pleasure of reading in this genre. I was not surprised to read about all the research you’ve put into these books, as the depth of the story is testament to degree of knowledge and understanding you have of this period. While I do enjoy the more common male perspective so prevalent in fiction covering this era, I also find your point of view, with women as the main characters, interesting and refreshing. I enjoyed your books immensely and await the next instalment eagerly! Hi Charlotte.Thank you for your very kind words. (I will probably re-read them on days when I sit with my head on my desk, frustrated, convinced I cannot write after a dozen fruitless attempts to write the opening words of a scene that I can see in my head but can’t describe properly in words.) I am delighted that you are passionate about the Anglo-Saxon period. It was a fascinating, and probably terrifying time, and yes, the male characters do have quite a lock on it. But the women were there, and the challenge of imagining their lives is what I find so compelling. I have to confess, the research is constantly taking me down rabbit holes, and I thoroughly enjoy the ride! I love both the Shadow on the Crown and The Price of Blood. I am waiting impatiently for the last one. This is my first venture into the history of Anglo Saxon England. I have always loved the history from the Norman conquest up till the Tudors. This is like the prelude to that time and you have so intrigued me that I have started collecting research on this time frame. Thank you for that. Your writing is outstanding. You made me feel as if I were apart of those years. Hi Mary. Thank you for stopping by. I’m glad you have ‘discovered’ the Anglo-Saxons. There are wonderful stories in that period of history, but you have to get past the difficult names! I know that the events I write about took place 1000 years ago, but when I’m immersed in my research and my writing, it doesn’t seem so distant to me. I see that you have completed your own trilogy, and I congratulate you. I am still struggling with my Book 3, but I can see light at the end of the tunnel. When we have a pub date, I will be shouting it from the rooftops! I am eagerly awaiting the third book…do you know when it will be released? Hi Chloe. I’m still working on the manuscript, tying all the loose ends together. When we have a pub date I’ll be shouting about it everywhere!! !